The title essay of this collection, according to its author, is “effectively a thesis on mysticism” that makes no claims to originality. Although it is very thoroughly and effectively researched, the truth is that it is not a thesis in any traditional fashion. There is little to no argumentation and few explanatory asides that link and explain all of the information made available to us. Rather it is a complex blending of the personal and the academic, of images and stories which centre around a set of central ideas: tawid, or the recognition of the sole reality of God; the relationship between God and creature (hahut) experienced as relationship with the Divine Female (Shakti, shekhina, Quan Yin, Fatima, the daughter of the prophet, and more); the nature of the primacy of vision and its relationship to the Clear Light seen at the moment of death, as described in the Bardo Thodol (Tibetan Book of The Dead). Linking these, and much more, is the notion of the veil (niqab) behind which the mumkin (possibility) awaits, behind which we may see possibilities which both go beyond and defy reason. For anyone interested in the “light” that is the “Face of God” and the manner in which we may experience this “light”, The Niqab and the Mumkin is a compelling essay which opens with its own instructions on how to read what follows. This is more than fair notice that we need to listen to our inner voice whilst reading and engage our imagination in order to pass through the veil and reach the realm of possibility. And a goodly part of this listening is imagining what Foster interjects about his own life at regular intervals in the essay. There is more, so much more to this essay, from his apparent acceptance of his experience, and then his apparent dismissal of it as a “breakdown”, to the always always accompanying detail and questing into the nature of mystical experience and all that the various religions have had to say about it. At one point Foster comments on the way the experience would be described from different positions, saying that a psychiatrist would likely make a note saying “manic-depressive moving from customary clinical depression to stress induced mania,” whilst Sufi comment may be that “few can remain within the limits of proper conduct in expansion.” What the secular psychiatric viewpoint leaves out is everything Foster talks about in this essay, everything which makes it a profound springboard into experience beyond Foster’s personal story. He then makes it clear that, in respect of race, that we passionately object to words like half-caste, quadroon, mulatto, preferring instead to call them black and encourage them to call themselves black, thus reinforcing the issue of race and ongoing racism in the most subtle of ways. As he says later in the book (p. 116), “you need to train yourself to see the white, not just the black, in men like Colin Powell,” a statement which holds true for anyone of any non-white race living in a contemporary Western society on a permanent basis. Foster’s comments on race in these essays hold an anger that is broad and based in his, I think accurate, awareness that so much of what is taken to be “aboriginality” is a white, Western myth that does little to remove racism from the Australian social agenda. I don’t know how correct he is—I don’t know if we can apply notions of truth and correctness to this subject— but much of what he says rings true to me. 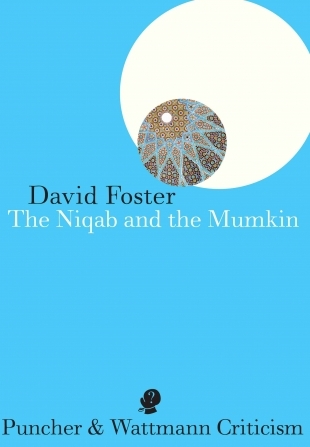 Frequently politically incorrect, the ideas in these essays invite us behind the niqab to see Foster himself, to imagine what we may not wish to hear about Foster’s own experience which, none the less, hold together opinions which are difficult to ignore once heard. This entry was posted in B. J. Muirhead, David Foster, Issue 13, Puncher & Wattmann, The Niquab and the Mumkin and tagged Australian Literature, Literary criticism by Mark Roberts. Bookmark the permalink.